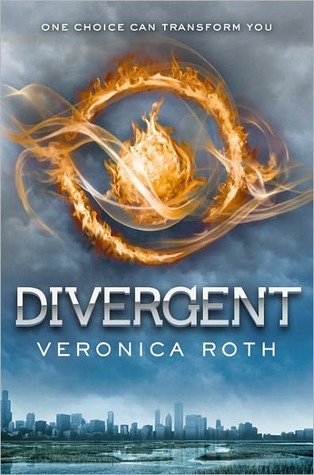 Veronica Roth's Divergent puts a unique spin on the dystopian society. In Divergent, people are divided into "factions" in order to separate personalities that would normally conflict with each other. At the age of 16, each person chooses the faction they will permanently join. Once a faction has been chosen, the individual doesn't automatically become part of that faction. They must endure an initiation process that will weed out those who don't belong and enforce the mindset and beliefs of those who do. Divergent begins just before Beatrice "Tris" chooses her faction. The level of danger and suspense in Divergent makes it a great page turner. I was always anxious to see what would happen next, and I'm looking forward to reading the next installment in the Divergent series. If you loved The Hunger Games, I highly recommend Divergent. Not only is it similar in tone to The Hunger Games, I have high hopes that Tris will maintain the strong leadership role I longed to see in Katniss Everdeen. This one is on the way. Your review made me even more excited. That's great, Alexis. You will enjoy it! Divergent was wonderful. I agree with you about Tris & leadership :), but I don't know if I agree with it being similar in tone to HG. IMO, HG feels deadlier physically while Divergent's more of psychological deadly... more like Mockingjay.